Neutron Scattering - Magnetic and Quantum Phenomena provides detailed coverage of the application of neutron scattering in condensed matter research. 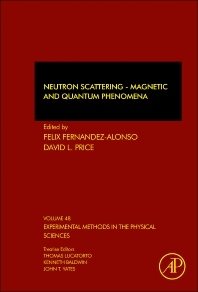 The book's primary aim is to enable researchers in a particular area to identify the aspects of their work where neutron scattering techniques might contribute, conceive the important experiments to be done, assess what is required to carry them out, write a successful proposal for one of the major user facilities, and perform the experiments under the guidance of the appropriate instrument scientist. An earlier series edited by Kurt Sköld and David L. Price, and published in the 1980s by Academic Press as three volumes in the series Methods of Experimental Physics, was very successful and remained the standard reference in the field for several years. This present work has similar goals, taking into account the advances in experimental techniques over the past quarter-century, for example, neutron reflectivity and spin-echo spectroscopy, and techniques for probing the dynamics of complex materials of technological relevance. This volume complements Price and Fernandez-Alonso (Eds. ), Neutron Scattering - Fundamentals published in November 2013. 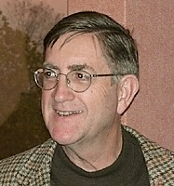 David L. Price obtained a Ph.D. in Physics from Cambridge University under the supervision of G. L. Squires. He has subsequently had a 40-year career in research and administration involving neutron and x-ray experiments and facilities. After a postdoctoral appointment at the High-Flux Beam Reactor (HFBR) at Brookhaven National Laboratory, he joined the staff at Argonne National Laboratory where he served variously as Senior Scientist, Director of the Solid-State Science Division and Director of the Intense Pulsed Neutron Source (IPNS) during its construction and commissioning phases. He later joined Oak Ridge National Laboratory as Executive Director of the High-Flux Isotope Reactor and Center for Neutron Scattering. He has been invited as Distinguished Visiting Professor at the Graduate University for Advanced Studies, Hayama, Japan, and as Visiting Fellow Commoner at Trinity College, Cambridge, UK. He received the Warren Prize of the American Crystallographic Association in 1997 and an Alexander Von Humboldt Research Award in 1998. He is a Fellow of the American Physical Society, the Institute of Physics, UK, and the Neutron Scattering Society of America. neutron diffraction with isotope substitution, and deep inelastic and quasielastic neutron scattering. His monograph on High-Temperature Levitated Materials was published by Cambridge University Press in 2010. He has over 250 refereed publications and has designed and commissioned neutron scattering spectrometers at the HFBR and at the CP-5 Research Reactor and the IPNS at Argonne. 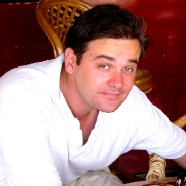 Felix Fernandez-Alonso graduated with a Ph.D. in Chemistry from Stanford University under the supervision of R.N. Zare. He has been Marie Curie Fellow with the Italian Research Council and Associate Lecturer in Chemistry with the Open University. He joined the ISIS Pulsed Neutron and Muon Source at the Rutherford Appleton Laboratory in the UK in 2003, where he is currently head of the Molecular Spectroscopy Group and coordinator of the Centre for Molecular Structure and Dynamics. He has been appointed Visiting Professor at University College London and Nottingham Trent University in the UK, and at the University of Orléans in France. He is also Fellow of the UK Royal Society of Chemistry and scientific consultant for the chemical industry. Dr. Fernandez-Alonso’s current research interests focus on the development and subsequent exploitation of neutron scattering techniques in physical chemistry, with particular emphasis on materials-chemistry challenges of relevance to societal needs and long-term sustainability. These include gas and charge storage in nanostructured media, molecular and macromolecular intercalation phenomena, and solid-state protonics. He has approximately 100 refereed publications and is currently involved in several neutron instrumentation projects at ISIS and abroad.